Welcome to Camerata Chorale’s Event Page! We post notices of concerts and other events which may be of cultural interest to patrons of the arts in the Hudson Valley. This page will be updated with new information as soon as it is available to us. 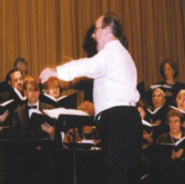 Camerata Chorale begins its 54th season. Can you believe it?! For more information please call 845.943.8962 or click to email Margaret Howe.